1In France, in March 1974, a plan was set out to create an automated system for administrative files and a directory of individuals (Système automatisé pour les fichiers administratifs et le répertoire des individus, or SAFARI). The aim of the project was to interconnect different public services using a single ID number. The rejection of this bill was at the root of the Information Technology, Files and Freedoms Law (Loi “Informatique, fichiers et libertés”) of 6 January 1978. This was the start of an ongoing debate about the administrative sharing of ever-more extensive information about individuals within the framework of digital administration. We should work on the basis that a digital identity is not and cannot be unique, no more than an identity in the sense of traditional “paper” dealings with public services can be. Just as today we have a social security number, a tax number, an ID card, a passport, and so on and so forth, all of which are distinct from one another, in the future we will have several forms of digital ID […]. 3Until the mid-1990s, digital identity was primarily a question of “digital user IDs” in which data security was the dominant concern and primarily of interest to businesses and public administrations. The social resonance of these issues was almost non-existent. 3 MySpace: http://www.myspace.com/; LinkedIn: http://www.linkedin.com/. 4From the end of the 1990s to the early 2000s, the issue of “personal privacy” began to emerge as major Web actors (France Télécom, Cisco, Sun, eBay) reflected on “global standards for the management of personal data and authentication procedures2”. From 2003 onwards, large social networks, including MySpace, Friendster (now suspended) and LinkedIn, were launched3. It was at this time, too, that Google became the inescapable tool we know today as well as the pre-eminent public identity mirror, with over three billion pages indexed by the end of 2002. 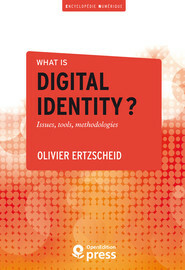 The first societal traces of the digital identity issue emerged from 2005 onwards, two years after the launch of social networks and at the point when use of these networks became routine and widespread. A definition of digital identity? 5A digital identity is made up of the sum total of digital traces relating to an individual or a community: “profile” traces corresponding to what I say about myself (who I am); “browsing” traces showing which sites I visit, comment on or buy from (how I behave); and finally, written or declarative traces – what I publish on my blog, for example – which directly reflect my ideas and opinions (what I think). 6More precisely, digital identity can be defined as both the collection of traces (writings, audio/video content, forum messages, sign-in details, etc.) that we leave behind us, consciously or unconsciously, as we browse the network, and the reflection of this mass of traces as it appears after being “remixed” by search engines. My digital identity includes the following: IP address; cookies; emails; first name; surname; usernames; personal, administrative, bank, professional and social details; photos; avatars and logos; tags; links; videos; articles; forum comments; geo localised data, etc. 7An occasionally burdensome adjunct to digital identity, my digital reputation, or e-reputation, corresponds to what others say about me. It can also be my “brand” (in which case we talk about personal branding). It is necessarily subjective and fluctuating. Based on a perceived image but also on trust and credibility, it can unravel with a rapidity inversely proportional to the time it takes to establish and build up. Where are my sign-in details? 8With the proliferation of online services comes an exponential growth in sign-in details, i.e. a paired username and password providing access to those services. It is not unusual for one individual to possess several dozen different usernames and passwords. So many, indeed, that we have witnessed the emergence of software programmes specially designed to manage these multiple sign-in details. 9Today, more and more services and players on the Web have chosen to simplify matters for their users by subscribing to a single point of access known as OpenID, in which a single username and password enable users to access their emails, their blog dashboard or their Facebook or Twitter account. 10Leading browsers (Firefox, Google Chrome, Internet Explorer) are themselves developing direct and “native” management of sign-in details from their own interfaces. Anxious, at least on the face of it, to give prominence to how they protect their users’ privacy, they also offer private browsing modes which do not store the usual connection data4. 11Carrying out a search on Google gives us the illusion of a blank page containing nothing but the search field. Yet in everyday life many of us start our working day by checking our emails, often on this same Google Gmail platform. From this moment on, and even when we navigate back to the search engine, Google knows who we are and what our name is, thereby commanding a totally transparent view of all our search requests and access to each and every message we have sent or received. When Google launched its online email service (Gmail) on 1 April 2004, it significantly increased the amount of drive storage provided to Internet users and, more importantly, incorporated into Gmail the same reasoning and formula applied to its advertising wing AdSense: all the messages making up our private correspondence would be treated as web pages and, as such, scanned and indexed by Google’s algorithms and crawlers. The aim? To pair the characteristic keywords of our conversations with the most targeted and contextual adverts possible. Each message is therefore indexed, but Gmail is also able to analyse the themes or topics of conversation we talk about most often, the people with whom we communicate most regularly, and the subjects we discuss, thereby making its advertising concern even more effective. While rival webmail providers had adopted the economic model of displaying advertising banners, Google was the first to index our private correspondence with the same techniques and with the aim of deploying an economic model that had hitherto been reserved for public web pages. And though it is possible to hide these targeted adverts with the help of third-party service providers, it is nonetheless impossible to prevent our emails from being indexed. 12Signing in to one service before using another, particularly a search engine, all too often amounts to letting down our guard as we browse. That is why the traces we unconsciously or inadvertently leave on the network are central to the definition of digital identity: they epitomise the sign-in contrivances that are used to engineer identity transparency. 13Is that the price we have to pay for a smooth browsing experience and more relevant search results? The practice of identifying and tracing users is defended by most Internet companies as the only way to provide an enriched browsing experience and to personalise the service offered. While this argument can be justified in technical terms, it does not exonerate those same companies from providing guarantees as to the length of time they conserve this personal data, and how it is used. 14The virtuous circle of digital identity goes as follows: before being able to access a system’s resources (authorisation), I must first say who I am (identification), and this must be verified either by a technical procedure – at the very least a password (authentication) – or by a third party such as the OpenID protocol (certification). 15However, this process often turns into a vicious circle in which it is the system itself that is authorised to access my resources (documents, emails, friends, etc. ), or indeed write on my online spaces (Facebook or Twitter accounts). Identification is persistent and often transparent (see above), while authentication becomes problematic due to the proliferation of usernames. Certification ultimately becomes a kind of Trojan horse allowing third parties (whether we have chosen them or not) to access some of our personal data. This is the case with some Facebook applications that have enjoyed popular success thanks to their entertainment value and “user-friendliness”. When we add these applications to our profile, advertisers are able to learn about our preferences and tastes, indeed about a whole swathe of our private lives, sometimes even including our intimate relationships. 16We document our digital identities literally, lastingly and increasingly transparently, our digital identities being the digital portion of the documents we produce, and what they say about us once picked up and remixed within the interfaces of search engines and social networks. 17As individuals, we perceive ourselves as the lowest common multiple of our amassed digital document traces (whether they are identity-related or not). As consumers, we want to be able to collate, or “hold together”, our scattered digital traces as easily as possible. 5 John Battelle’s searchblog, http://battellemedia.com. 18For search engines and social networks, the opposite holds true: in order to get to know us better, to customise the services they provide more effectively, and to nurture what an American analyst5 has dubbed their “Database of Intentions”, they need to offer us the widest possible array of services. They therefore position themselves as the highest common denominators of our digital identities. 19Let’s draw a brief analogy with another very fashionable concept: our ecological footprint. Every day we produce and reproduce a phenomenal quantity of digital traces. Just as the volume of web documents exploded a few years ago now, today we are witnessing another explosion: our identity footprint. 20Our online publishing practices consist in uploading photos to Flickr or Picasa Web, posting daily comments on Facebook or Twitter and uploading videos to YouTube. We also share bookmarks on Delicious or Diigo, files in Google Documents, emails in webmail services, posts on our blogs, articles in newspapers like Agoravox, academic publications in open archives and online journals, and books on publishers’ sites, etc. 21The complexity involved in any attempt to calculate our digital identity footprint is enormous, for several distinct reasons. First, our consultation practices consist in signing up to, assimilating, browsing, and – thanks to web syndication (RSS feeds) – subscribing to sets of digital document traces produced by other people. In return, these sets of documents inform our own relationship to information. At the same time, the Web confronts us with an ever-increasing fragmentation of what a “document” actually is, a fact attested by the rise of the “statusphere” in which 140 characters on Twitter, or a Facebook status update, become minimal signifying units, splinters of glass from the gigantic identity mirror that is the Web. Our user practices have also multiplied as a result of synchronisation strategies offered by most of the major ecosystems on the Net: I begin reading a document on my touch-screen tablet on the Underground and then continue reading the same document at the place I left off on my personal computer at home, via a subscription service such as Google Play or iTunes. Lastly, the ubiquitous option of being able to edit, comment on, reconfigure, redocument and repost content (wikis, retweets and other forms of “sharing” on social networks) – an option that is now almost inextricable from the very content provided, however fragmentary it may be – continually adds new layers of depth to any attempt to grasp or review our identity footprint. 22Like a hermit crab sheltering inside its shell, our perceived digital identity – an identity we would like to think of as being collated, protected, confined, hermetically sealed from others should we so wish, and potentially confidential or at least adequately “blurred” – permanently cohabits with a lived digital identity that resembles the invasive algae caulerpa taxifolia. 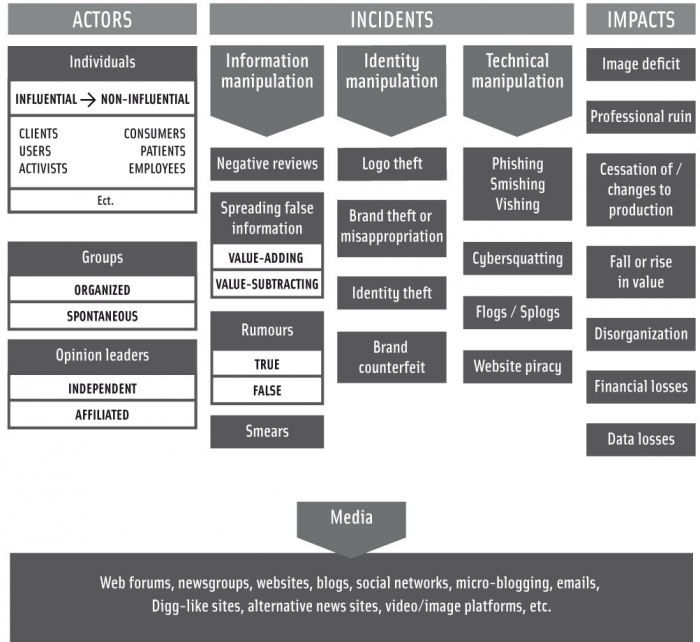 This identity is difficult to control, scattered across search engines and social networks, and subject to propagation patterns of uncontrollable virality. 23One of the most prominent issues in what is known as the “information society” is enabling each and every one of us to reverse this trend between lived and perceived digital identity and to take back control, to gauge the scope of our identity traces as a whole and, if we wish, delimit their perimeters. 24Digital identity goes hand in hand with what psychologists call “scopophilia”, or the desire to see6. Along with the desire to see without being seen, or, inversely, to exist by being seen, it is these psychological drives, which range from mere carelessness to wholesale immodesty, that bring about the digital traces we leave behind us by ignoring, or refusing to admit, their potential to cause harm. 25Such drives find an ideal refuge in the new panopticons that are social networks such as Facebook, which exploit our desires and allow each and every one of us to see and be seen, or to see without being seen. But only Facebook and its commercial partners command a bird’s-eye view over the communities, neighbourhoods and mesh of desires that make up the planet’s largest human community: the site’s one billion users. 26Digital identity now transcends the frontiers of biological life. 27You’ve probably already heard about the parents who reserve their child an eponymous domain name or open an email account for them before they are even born or in the womb. A study by AVG dating from October 20107 has now shown that 81% of children under two (74% in France) already have a digital presence, i.e. one or several photos posted on social networks by their parents. 8 For example, see http://www.laviedapres.com. 28On Facebook, when a member of the social network dies, you can fill in a form to let their “friends” know. The deceased’s profile can then be frozen and transformed into a “digital memorial” on which these same “friends” may leave messages. Other firms have made an overt business out of managing our post-mortem digital identity8. 29The once distinct boundaries between public web, private web and intimate conversations held on the web are today increasingly blurred, and in some information environments can even be completely erased. Search engines are able to index public Web resources, our most personal blogs and the content of our emails. Meanwhile, social networks, first among them Facebook, have chosen to open up their profile databases so that these too can be indexed by those same search engines. We are now witnessing a new drift of the information continents, but this continental drift is the exact opposite of what geology teaches us about plate tectonics. Today only a single Pangaea remains: a single territory that can be comprehensively indexed by the few in the name of the many. 30Would it ever cross your mind to entrust your identity documents permanently to someone else? 31Cloud computing refers to the process of leaving our data and documents on the host servers of various companies: YouTube for our family videos, Flickr or Facebook for our holiday photos, Google Documents for our professional files, Dropbox for our computer files, etc9. Equally, our identity data and information are now “in the cloud”, and thus available to the companies that today act as their exclusive hosts. Tomorrow, those same companies may be their principal predators. 32Not so long ago, in a largely disconnected world, our identity seemed protected. Just a few years later, in a largely connected world, our identity was sometimes dangerously exposed. Today we live in a world of hyper-proximity, permanent connectivity and nomadic, ubiquitous technology. In this world, our identity is in danger if we do not put safeguards in place. Or, more precisely, our identity is likely to permanently endanger our social relations in both the physical and the digital world. This is attested by the many cases of people being dismissed from work after using the world’s largest social network too naïvely10. Why is digital identity important? 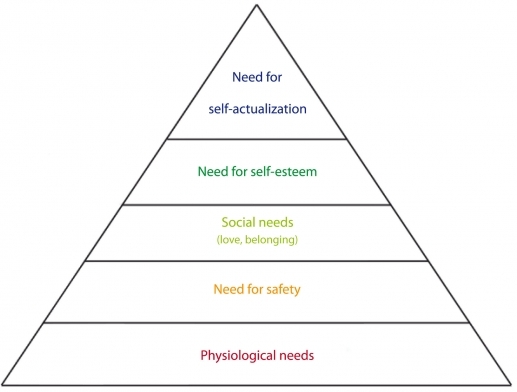 33The psychologist Abraham Maslow’s hierarchy of needs11 describes the typical process of identity construction among users. This process can be transposed onto the digital world. At the bottom is the need for “security”, i.e. the need to choose a username. Then comes the need for love and belonging, which can be channelled on any community site (including dating sites such as the famous Meetic.com). After this is the need to be held in high esteem by others, leading us to use various strategies to construct and manage our digital “reputation”. Finally, there is the need for self-esteem, in other words the narcissism that underpins and completes any presence or identity strategy on the Web. 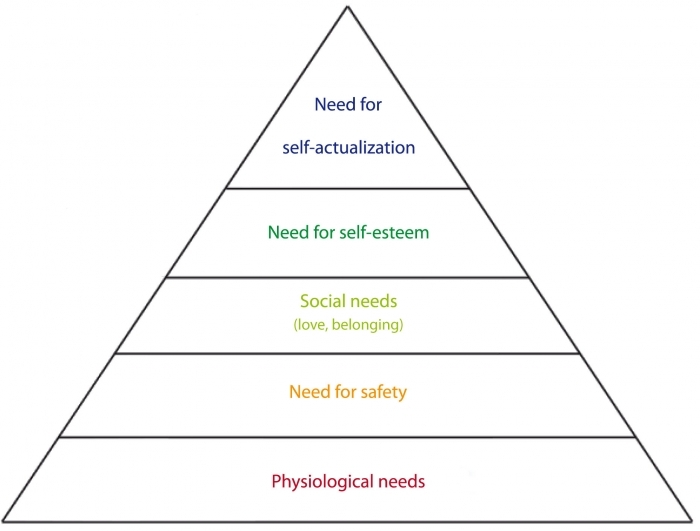 Only then can one reach the pinnacle of Maslow’s pyramid, that is to say self-actualisation, which can be defined as harmony between the perceived and desired identity of an individual or business. 34For players in the digital identity market (search engines and social networks) what matters most is strengthening their economic model: a free service financed by advertising. For that they need a constantly updated map of all content that is accessed on the Web, but also – and this was the social networks’ great asset – a map of our social relations and interests. For it is the combination of the two that keeps the wheels of their advertising concerns turning and allows them to sell advertisers extremely precious data extracted from immense but ever-more segmented and representative samples. In the realm of an economy in which attention, our attention, is the rarest and therefore costliest resource, profiling and market segmentation reign supreme. lastly, risks related to self-expression, which can either be totally transparent (describing or registering oneself under one’s own name), partially disguised (avatars,pseudonymity) or totally concealed (anonymity, identity theft/misappropriation). 14 “Clay Shirky”, Wikipedia, https://en.wikipedia.org/?title=Clay_Shirky. 36One of the questions raised by digital identity on the Web is knowing which identity strategies, running the gamut from complete anonymity to total transparency, will prevail. In 2010 Clay Shirky14 declared that in 20 years’ time, the internet “will be an archipelago of named users, who get a lot of value from participating in that part of the ecosystem, but [are] still set in an ocean of anonymity15”. 37For businesses, reputational risks are of a different, and mainly financial, nature. Christophe Asselin and Digimind have drawn up a synoptic table that perfectly describes these risks. Translation of E-reputation, typologie des risques liés à la réputation © Christophe Asselin – Digimind. 1 Pierre Truche, Jean-Paul Faugère, Patrice Flichy, Administration électronique et protection des données personnelles – Livre Blanc, http://www.ladocumentationfrancaise.fr/var/storage/rapports-publics/024000100/0000.pdf, accessed 30 October 2012. 2 Rémi Vallet, “Données personnelles : France Télécom épouse l’Alliance”, Transfert.net, 21 December 2001, http://www.transfert.net/a7953, accessed 30 October 2012. 4 The “Do Not Track” standard, developed for browsers by W3C (http://www.w3.org/TR/tracking-dnt/), is starting to be adopted, notably by Microsoft, which unlike Firefox has chosen to activate it by default. But this move has failed to win unanimous support: “By blocking advertisers who would like to install their cookies in the user’s browser, it seems Microsoft is banking on the fact that users will accept an exception being added to DNT to access its own services. Yet once Microsoft’s exception is accepted, all the targeted adverts managed by Microsoft will be accepted.” (Guillaume Champeau, “Do Not Track : pourquoi Microsoft vous veut du bien”, Numérama, 11 June 2012, http://www.numerama.com/magazine/22853-donot-track-pourquoi-microsoft-vous-veut-du-bien.html, accessed 30 October 2012). 6 Sigmund Freud, “Three Essays on the Theory of Sexuality” (1905), trans. and ed. James Strachey, The Standard Edition of the Complete Psychological Works of Sigmund Freud, vii, 24 vols. (London: Hogarth Press, 1974), pp. 123–231. 7 Johanna Godet, “81 % des enfants de moins de deux ans ont déjà une empreinte numérique”, L’informaticien, 11 October 2010, http://www.linformaticien.com/actua­lites/id/9202/81-des-enfants-de-moins-de-deux-ans-ont-deja-une-empreinte-numerique.aspx, accessed 30 October 2012. 9 YouTube: https://www.youtube.com/; Flickr: https://www.flickr.com/; Google Documents: http://www.docs.google.com; Dropbox: http://www.dropbox.com/. 10 The Commission nationale de l’informatique et des libertés (CNIL) website provides information on case law dating from 2011: http://www.cnil.fr/la-cnil/actu-cnil/article/article/maitriser-les-informations-publiees-sur-les-reseaux-sociaux/, accessed 30 October 2012; Christelle Dardant’s article, “Incertitudes autour de la jurisprudence ‘Licenciements Facebook’”, Institut de recherche et d’études en droit de l’information et de la communication (IREDIC), 31 January 2012, http://junon.univ-cezanne.fr/u3iredic/?p=8378, accessed 30 October 2012. 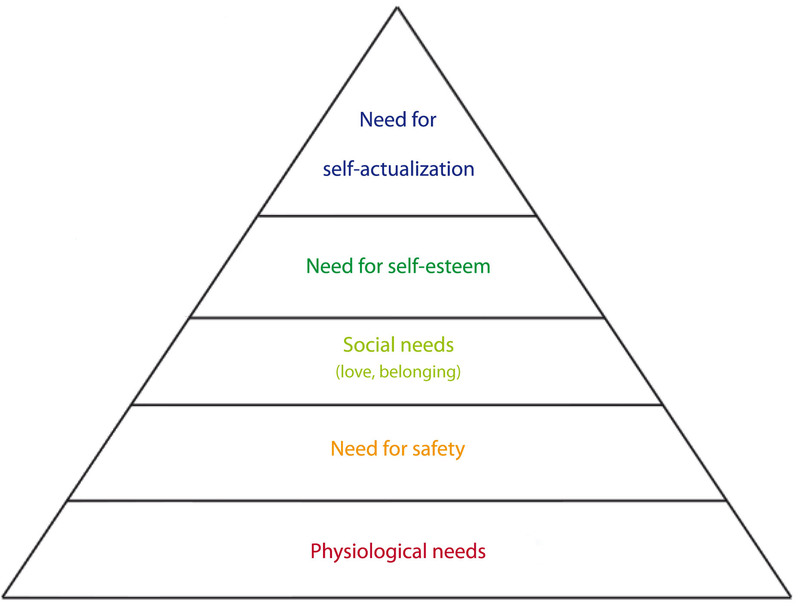 11 “Maslow’s hierarchy of needs”, Wikipedia, http://en.wikipedia.org/wiki/Maslow’s_hierarchy_of_needs. 12 Amazon recommendations are one example. Recommendations are based on users’ buying history and what they have viewed on the site, as well as on overall statistics about sales on the platform. 13 See the debates on the Loppsi and Hadopi laws, the Edwige file, etc. 15 See Janna Quitney Anderson, Lee Rainie, “The Future of The Internet”, Pew Internet, http://www.pewinternet.org/2014/03/11/digital-life-in-2025/, consulted 30 October 2012. ERTZSCHEID, Olivier. Identity logics In : What is digital identity? Issues, tools, methodologies [en ligne]. Marseille : OpenEdition Press, 2016 (généré le 24 avril 2019). Disponible sur Internet : <http://books.openedition.org/oep/1379?mobile=1>. ISBN : 9782821855793. DOI : 10.4000/books.oep.1379. Ertzscheid, Olivier. “Identity logics”. What is digital identity? Issues, tools, methodologies. By Ertzscheid. Marseille : OpenEdition Press, 2016. Web. <http://books.openedition.org/oep/1379?mobile=1>.